Home Information Technology Internet What is the best broadband and internet provider? What is the best broadband and internet provider? Globe vs Smart vs Sun vs PLDT vs others. So far that is the current market of choices for your internet connection, the question is which is the best? The answer actually depends on many things but to sum it up, it depends on what connection you need and where are you locayed. We are using PLDT MyDSL at home and the speed was fine. Our 1Mbps plan which comes with the phone line is at P1,600 per month. It's speed averages more than 1Mbps always except for times when there are routine maintenance. The irony of the above however comes at work. We are using PLDT's larger bandwitdh plan at 4Mbps but we are getting below 1Mbps. The last time we even upgraded it to a higher plan but we get the same speed. I wonder what's the reason behind it. Regarding Globe lines and Globe Broadband, they are atrong in many areas but when it comes to personal experience, their connection speed is really poor. At the office we are paying for their 4Mbps plan but we are just getting way below 1Mbps. We had reported the problem over and over again for the last six months but the problem persists. Their customer service is fine but wil always give you tje scripted answers. It is funny too, that they are instructing people to use their onlone help chat to report connection problem. How can you chat when you do not have a connection? Among all the providers though Globe is the only one that is kind enough to give rebates without the hustle. Smart has the best mobile connection so far. You can even use it in far places where you thought there is no connection. As long as there is a signal of Smart there is connection. The GPRS speed was also very usable for basic connectivity. As for the Smart canopy woreless connection, I have tried it and I am not satisfied. Their mobile 3G connection through their sim is also excellent. I am using Samsung Galaxy Tab unlimited data Smart Gold plan and the connection was perfect. I have not tried Sun Broadband connection that much but when I am working with Nicanor Perlas, the connection via Sun was not very good. Of course this data is about a year ago and perhaps they have improved their facilities. So what is the best broadband and internet provider in the Philippines? 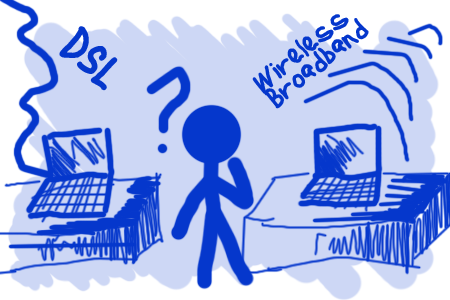 Well, if you are at home and want to get connected then your best choice is definitely PLDT MyDSL. It has a 24/7 connection that is not affected by weather or wind unlike wireless connection which is dependent on weather and proximity to a provider's tower. PLDT MyDSL has affordable plans which you can subscribe from below P1,000 to the high end connections. For mobile internet connection, I do recommend Smart. It is not that fast as they claim but among those that I have tested so far their connection is the most reliable. As a guide to internet connection speed, remember that what was advertised or stated is not what you usually get. For example a usual 1Mbps connection might actually just be 500Kbps to 720Kbps at most. This is because there are data loss in the system. Also remember that download speed is always lower than upload speed. If you want to test your internet connection at www.speedtest.net. blogs are a bit too verbose for me, this one fits nicely. Cheers!